Brucehaven Harbour saw its pier built in 1774-76 for the Chalmers Coal Trade. The pier is known as Capernaum Pier (pronounced 'Cappernum'). This harbour became the home of the Brucehaven Shipbuilders. 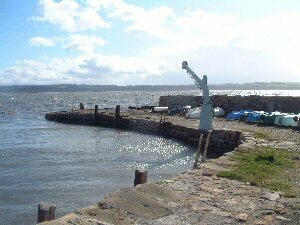 It is now used by the Forth Cruising Club.